All Globe Pipe Hanger fittings are manufactured from hot rolled and hot rolled pickled and oil mild steel. Fittings can be supplied in Type 316 stainless steel on request. To order add suffix ” SS ” as required. 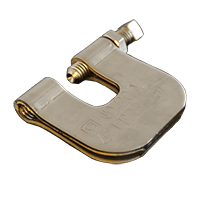 Strut fittings are hot dipped galvanized after fabrication with a minimum weight of 1.5 oz. per square foot to ASTM A123. Fittings are electro-plated with zinc to commercial standards after fabrication. The steel is coated with zinc using a hot dip process prior to manufacturing. The minimum weight of zinc is 0.9 oz per square foot under the general requirements of ASTM A525 Coating Designation G90. Paint, epoxy, copper-gard, copper plate can be supplied to your specifications as well as specialty finishes. 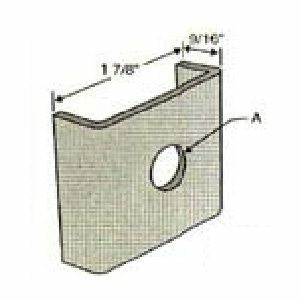 The following dimensions apply to all fittings except as noted. Nut and bolts are not included with the fittings except as noted. Weight per 100 14 lbs.